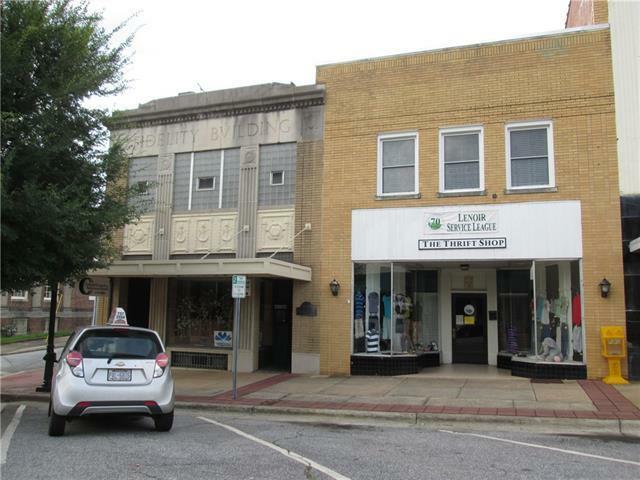 INVESTMENT PROPERTY in Historic Downtown Lenoir. Property composed of two adjacent buildings located at 916-918 West Ave. Excellent lease history with stable tenants. Majority non-profits able to commit year to year. Building on corner with three exposed sides, plenty of windows. AC and lighting have been upgraded within last 5 years and roofs have been replaced. One of owners is Licensed RE Broker.